Shooting in Jaffa leaves five-year-old boy critically injured. Four people, including a child, were injured in a shooting incident on Saturday evening. A five-year-old boy suffered injuries to his head. He is in critical condition and was transferred to Tel Aviv's Ichilov Hospital. 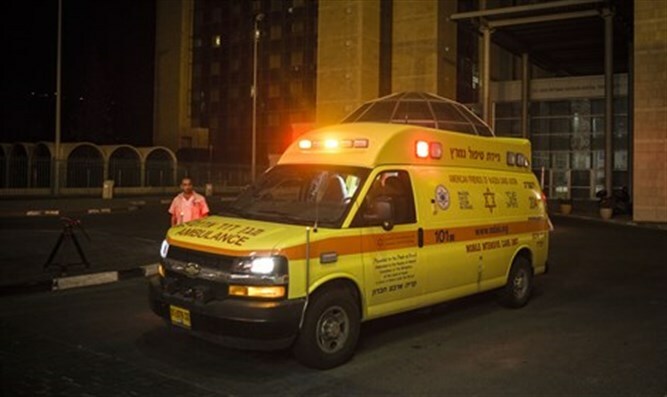 A second victim, a grown man, suffered light injuries to his leg and was transferred to Holon's Wolfson Medical Center. Two other victims were also brought to Ichilov and Wolfson for treatment. The incident appears to be criminal in nature. In May, a 22-year-old man was shot by a passing vehicle in Jaffa. Though he was brought to Wolfson Medical Center, doctors were forced to declare his death.